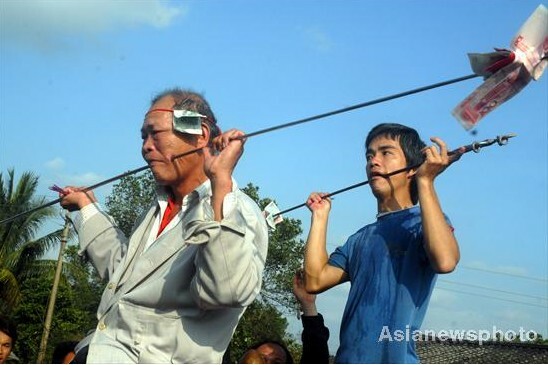 Two men perform chuanzhang at Naojunpo festival in Shimen village of Fuwen town, Ding’an county in South China’s Hainan province, Feb 16, 2011. 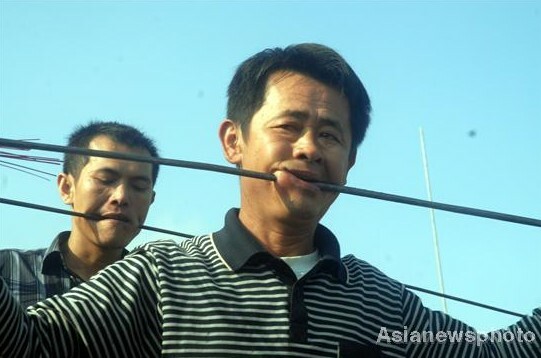 A ritualist (C) performs chuanzhang at Naojunpo festival in Shimen village of Fuwen town, Ding’an county in South China’s Hainan province, Feb 16, 2011. 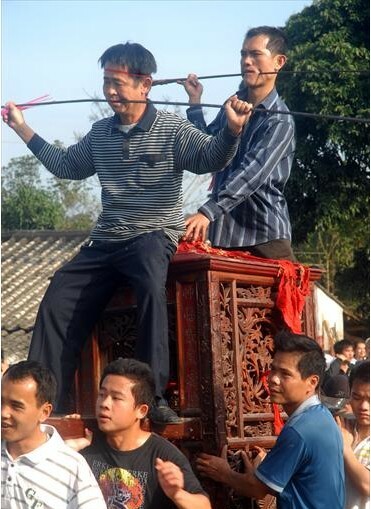 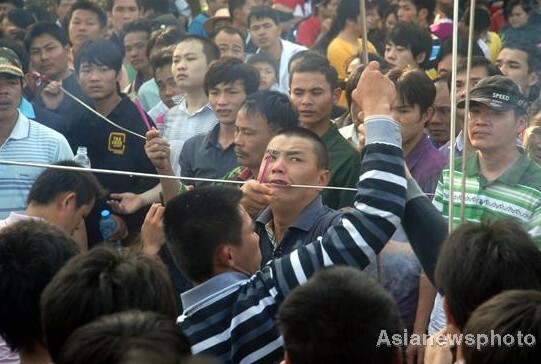 Chuanzhang, a ritual act of piercing a steel rod through the performer’s cheek without bleeding or scars, highlights the folk festival held to commemorate a former female leader, Mme Xian, who commanded the local army in 6th century.